As my husband and I are going through our second full watch of Star Trek as a couple, I thought it would be fun to report on the highlights along the way. So I decided to copy the same format as Charlene at Bookish Whimsy, who is going through her first-ever run of Star Trek and sharing her favorite episodes for each season. To compare, see her favorite episodes of season one of Deep Space Nine. On this rewatch of Star Trek, we’re watching the episodes in the order they were aired, meaning that in the middle of TNG season 6, we started incorporating Deep Space Nine episodes into the mix. 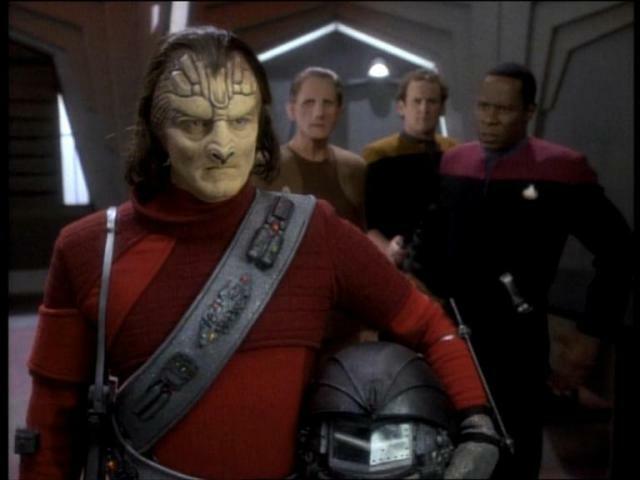 It’s been interesting so far to see DS9 with knowledge of what happens; I have had more appreciation for some of these earlier episodes (especially the pilot) and some of the characters that it took me some time to care for (namely Kira, Nog, and Garak). And in case you’re new to my blog, Deep Space Nine is my absolute favorite, so it’s a joy to see the characters again. I decided to put this one in my Top 5 because it’s the first time we see Garak. I actually didn’t like Garak on the first go-around until the episode “The Wire,” but this time I like him and his complicated friendship with Bashir right away. I have a lot more appreciation for the pilot now that I’ve seen the whole series. 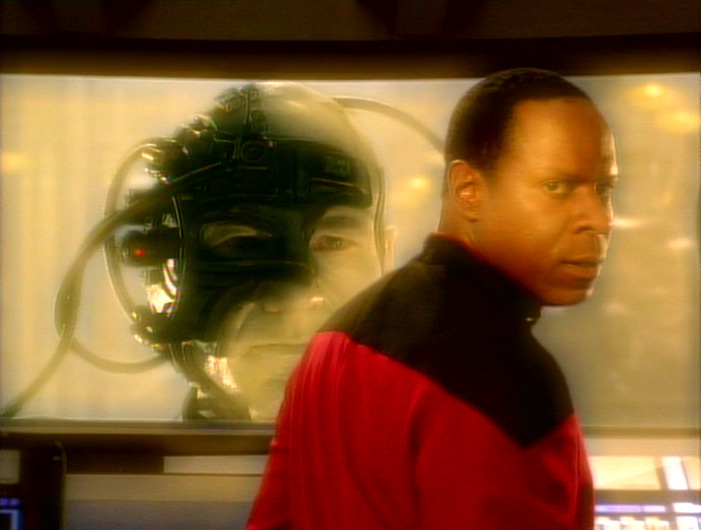 There is a lot of exposition and introductions, and I got a little tired of Sisko trying to explain linear time to the Prophets/wormhole aliens for the 100th time, but overall this pilot was pretty solid. It was definitely a better start to the series than TNG’s pilot. UGH. 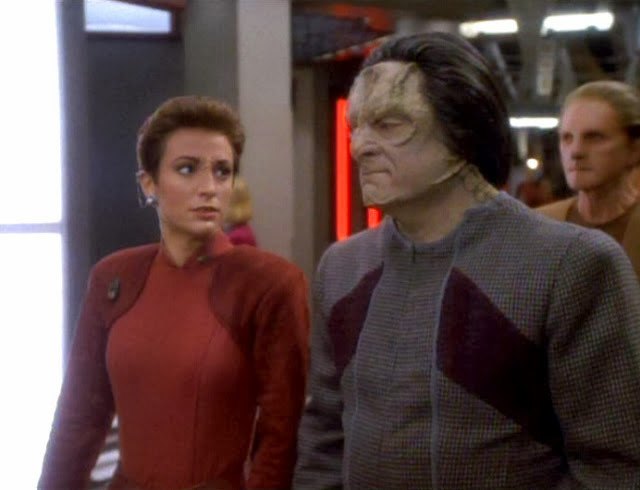 This is a pretty good O’Brien episode where he befriends an alien from the Gamma quadrant whose whole existence is about being hunted. It definitely raises interesting Prime Directive related questions. This is probably surprising to a lot of people, but I really have a fondness for this one. I’ve always shipped Bashir and Dax, so I just love his pining over her at the beginning of the episode, and then to have the “imaginary” Dax throwing herself at him. I remember very specifically from my first watch of DS9 that this was the first episode where I finally felt connected to the characters and decided I would probably would like DS9. I don’t know why, but it is what it is. This is an early turning point for Kira, in which she learns she can’t paint all Cardassians with the same stroke. It’s a twisty episode that keeps you guessing and a good episode for DS9 period, not just a “good for season one” episode. It’s non-happy ending is exactly the sort of thing you come to expect from DS9 as well. What are your favorite episodes of Deep Space Nine season one? This entry was posted in TV and tagged deep space nine, star trek, top 5. Bookmark the permalink. Oooh I shipped Dax & Bashir too. So hard. Until that Lwaxana Troi episode and then I switched to Bashir and Kira. Ha. Are you talking about the one where everyone falls in love with each other? Funny. I’m sure you already know this, but they were married in real life. 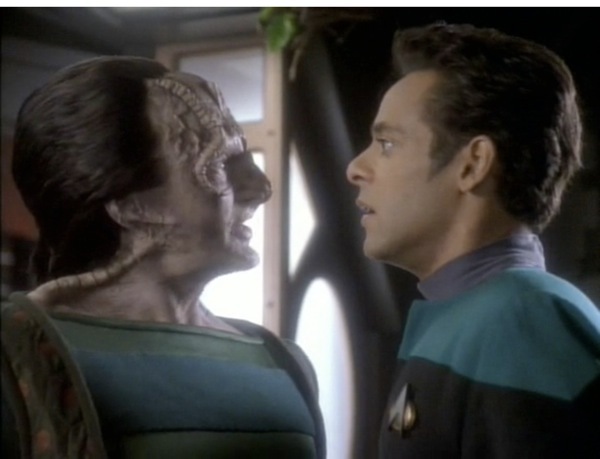 But I was pretty happy with how things worked out for Bashir in season 7. Hmm, I don’t remember Past Prologue as much – I should rewatch it now that I know I love Garak so much – I’m sure I’ll appreciate it more like you! For this series, I would probably really benefit from the rewatch – since I am more familiar with the characters and can understand their development more. I’m curious if you remember liking an episode alot from your first watch of DS9 and it made this list (or did not make this list) with the rewatch? If Wishes Were Horses was the one I really remembered liking from my first watch of season one I also vaguely remembered liking Duet the first time. It’s my least favorite season of the seven, but it is better than Season of TNG… I’ll watch “Move Along Home” over “Code of Honor” any day. Nice picks.